Luna Volcán, Adventure SPA offers packages for visitors from $20. If you are staying in Baños, enjoy a day with us, relax! Enjoy 4 pools and jacuzzi with hot volcanic water, a massage with an exfoliation with ashes from the Tungurahua volcano at Luna SPA and finish with a good meal in at Luna Restaurante or Café del Cielo with spectacular views. Includes: use of 4 pools and jacuzzi with hot volcanic water with spectacular views. Dressing room, locker, towel, bath cap and bathrobe at your disposal. Includes: 1 meal, 1 soft drink, use of 4 pools and jacuzzi with hot volcanic water, SPA treatment, lunch or dinner. Includes: use of 4 pools and jacuzzi with hot volcanic water, 1 exfoliation a la carte (30 min. ), 1 back massage (30 min.). Includes: use of 4 pools and jacuzzi with hot volcanic water, 1 steam bath with cold water contrast, 1 exfoliation with honey bee, sugar cane and orange, 1 full body massage (1h. ), 1 manicure and 1 pedicure. Includes: 1 full body massage per person (1h. 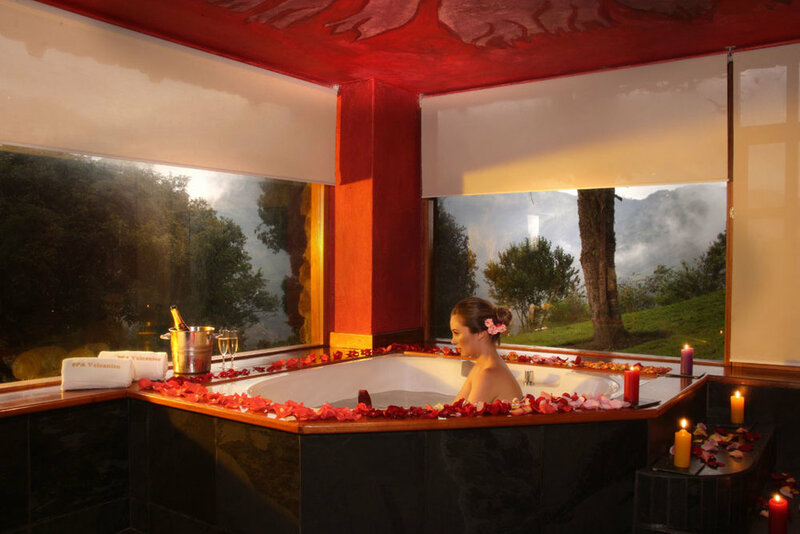 ), 1 chocolate exfoliation per person, use of jacuzzi with mineral salts and bath foam, roses petals decoration, season juice. Sala El Cráter, private room. 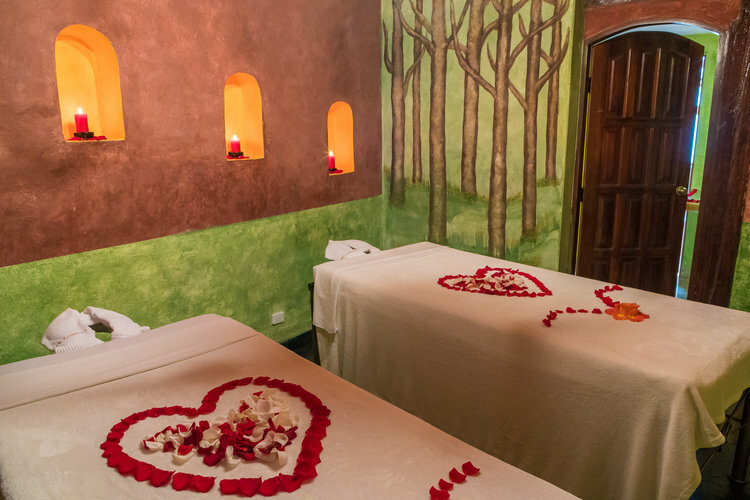 Includes: 1 hour full body massage p.p., 1 aphrodisiac exfoliation p.p., use of the jacuzzi with mineral salts and bath foam, roses petals in the volcanic tunner with candle lights, 1 bottle of sparkling wine, fruits and cheese. Includes: Roses petals decoration, 2 appetizers, 2 main courses, 2 romantic desserts, 2 glasses of wine. * Applies for lunches, too. * Lunch 12:30 - 15h. * Dinner 18:30 - 21h. Includes: Roses petals decoration, 2 appetizers, 2 main courses, 2 romantic desserts, 1 bottle of sparkling wine. Per night includes: accommodation, dinner, breakfast, use of 4 pools and jacuzzi with hot volcanic water, WiFi.